What did you think of Comparing 2-digit Numbers (Using Symbols) ? To compare two 2-digit numbers, first compare their tens digits. 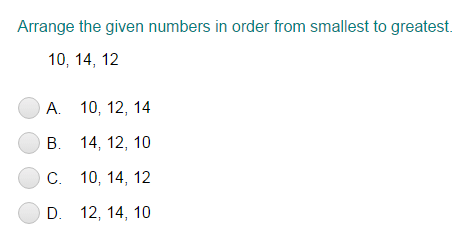 If tens digits are the same, then compare the ones digits. For example, let's compare the numbers 24 and 28. We start comparing from the tens digits. Observe that, in both the numbers tens digit is two. So, we compare the ones digits. The ones digit in the number 24 is 4 and in the number 28 is 8. Now, 4 is less than 8.